The 'mukluk' is an Aboriginal word for 'winter boot'. Our ancestors created them thousands of years ago out of natural hides and fur in order to survive in the coldest places in Canada. Now as a contemporary MÃtis company, we continue the tradition by combining modern techniques and materials to make functional mukluks for urban environments. The footbed is sheepskin-lined and the sole was made in partnership between Vibram and an Aboriginal artist. Traditionally worn for hunting in the snow, Canadian Aboriginals have been enjoying the warmth and comfort of Manitobah Mukluks for hundreds of years. These boots are inspired and handmade by the Aboriginals of Canada. Every pair is unique and individually crafted to the highest quality. 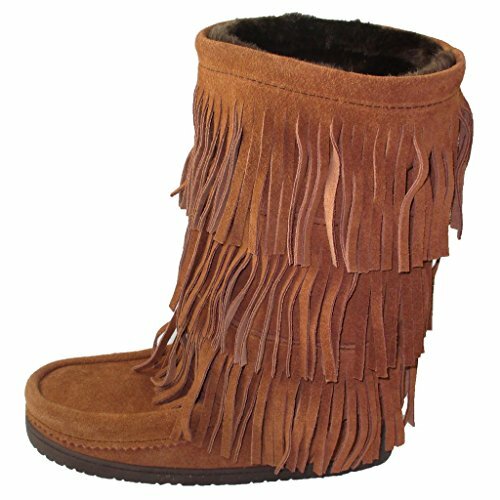 Traditionally made using the finest suede, rabbit fur, and sheepskin, Manitobah Mukluks provide the ultimate in comfort and style. If you have any questions about this product by Manitobah Mukluks, contact us by completing and submitting the form below. If you are looking for a specif part number, please include it with your message.